Over the years we have helped hundreds of homeowners secure full compensation for their damages and got their homes to better than pre-loss condition. Our expertise includes getting the insurance company to pay all that is needed to fully address the loss and then taking care of all the remediation work and repairs that are needed. Insurance related losses and their repair differ wildly from 'run of the mill' remodeling. First, gathering estimates is a strategic mistake. Are you trying to find a cheaper contractor to save your insurance company money? 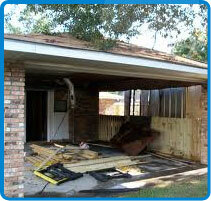 Dealing with the insurance company or their assigned adjuster is a mistake as well. They do not have your best interests in mind (the more they pay you the lower their profit - a conflict of interests if there ever was one). Dealing with an insurance recommended or referred contractor is a mistake as well. The insurance company and not you are the contractor's ultimate clients (the insurance company will refer many more jobs down the road to 'their' contractor if they (as opposed to you) were happy with the contractor's scope of work and quote - again, a conflict of interest you better avoid. Last, it is also a mistake to engage with a general contractor who has no experience dealing with insurance companies. Honolulu is chock-full of these. While most are not companies you'd want to deal with, some are indeed excellent remodeling companies. Alas, unless they are experts in dealing with insurance companies and in adjusting a loss - essential skills you need your contractor to have - they would not serve your interests well. You need a company that has the skills, know-how, experience and wherewithal to deal with the insurance company, its adjuster and the so called experts and contractors they would inevitably bring to bear on your claim so that they could under pay it. You will also need a top-tier remodeling company for the actual repairs, once your claim is settled, so that your home would look just as good and better than it did before the loss. Simply stated - you need Dumore. We have dealt, with spectacular success with hundreds of insurance losses - always representing the homeowners and never the insurance companies. Our experience and expertise include water damage repair and restoration, fire damage restoration and rebuilds, mold remediation, smoke and soot damage remediation and repair and more. We have served and continue to serve as experts in court cases as well, always representing the homeowners' side. We WILL get you the full value of your loss. 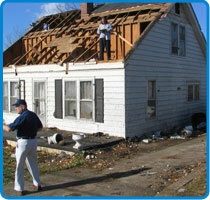 Get Your free Home Insurance Damage Report! Please check back soon to get your free Honolulu home insurance damage report.